Will the planet starve if bees disappear? 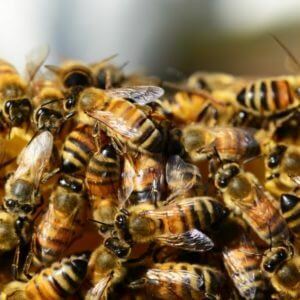 Aren’t bees responsible for a significant chunk of the world’s food supply and nutrition, from one third to as much as 90 percent, depending on what advocacy group is making the claim? You hear such assertions invoked by advocacy groups, reported as truth by journalists and cited by politicians as accepted wisdom whenever the subject of pollinators comes up. FOX News, like many in the media, circulated the narrative far and wide. 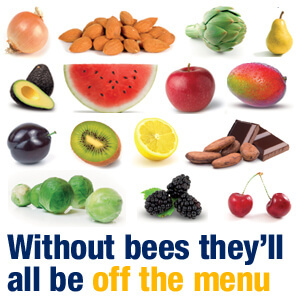 Citing the National Resources Defense Fund, which passed along the comment as accepted wisdom, “one of every three bites of food Americans consume comes from a plant visited by bees or other pollinators. But how true are these claim? Where did this accepted wisdom originate? It’s certainly not found in the most independent and reliable data. Let’s crunch the numbers. 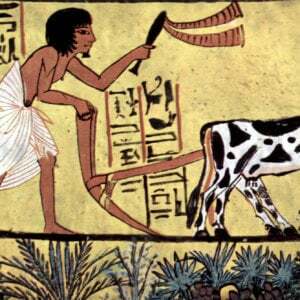 According to USDA’s most recent census of agriculture, the market value of America’s total food supply in 2012 was $394 billion. If pollinators were responsible for one-third of that, they’d be contributing $131 billion to the economy, not the actual figure, which is $15 billion, as the EPA’s Jones noted on the Hill. What’s going on? Why the huge discrepancy — a factor of almost nine. The source of the myth is the 1976 Pollination Handbook, which wrote in its summary, “one-third of our total diet is dependent, directly or indirectly, upon insect-pollinated plants.” The report noted concerns about the bee pollination, a trend already in place for decades and with no link to today’s bogeyman, neonicotinoids, which were not introduced until the 1990s — after which the global bee population began its gradual recovery. Sixty percent of America’s crops can grow just fine without bees. Wheat, corn and rice are wind-pollinated. Lettuce, beans and tomatoes are self-pollinated. 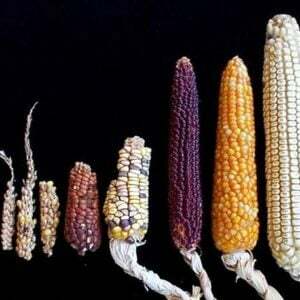 The 12 crops that worldwide furnish nearly 90 percent of the world’s food — rice, wheat, maize (corn), sorghums, millets, rye, and barley, and potatoes, sweet potatoes, cassavas or maniocs, bananas and coconuts — are wind pollinated, self-pollinated or are propagated asexually or develop without the need for fertilization (parthenocarpically). It’s true that about 35 percent of America’s crops — about a third — rely to some extent on bees. Sometimes the bees are essential. In other cases, they’re nice to have around, but their absence does not present a crisis. A 2007 study in the Proceedings of the Royal Society quantified the importance of bees on a crop-to-crop basis. We found that pollinators are essential for 13 crops, production is highly pollinator dependent for 30, moderately for 27, slightly for 21, unimportant for 7, and is of unknown significance for the remaining 9. So crops like strawberries, sunflower and chestnuts are classified as having a “moderate” yield boost from bee pollination. That means they see a 10 to 40 percent addition to production from bees. The only way you can say bees “are responsible” for a third of our food supply is by giving bees 100 percent credit for the value of each and every crop over which a bee might hover when, in reality, bees play a minor role in 28 crops. The fact that the economic benefit of bees adds up to $15 billion acknowledges this reality The figure comes from a 2000 Cornell University study by Roger Morse and Nicholas Calderone that puts a dollar value on the honeybee’s contribution to agriculture. The researchers arrived at their total by taking, for example, 100 percent of the value of the almond crop and attributing it to the honeybee on the theory that, without the bee, there’d be no almonds. They then assign a proportional value for the other crops where bees are less essential. For example, bees are responsible for giving strawberries a 20 percent boost in yield, so they put 20 percent of the value of the strawberry crop in the bee value column. And so on. All of those suitably proportioned values added up to less than $15 billion using data from 1996 to 1998. According to the USDA’s census of agriculture, the market value of our food supply then was $197 billion, which means bees would account for about 7.4 percent of agriculture’s value. To be sure, that’s a substantial amount, but it’s hardly one third. The market has one way of assigning a value to bee pollinators, and that’s the price paid for pollination services. According to USDA, that value was $656 million in 2012. That’s no small amount, but it’s far from the $131 billion implied in the factoids circulating about bees. NOTE: This article consolidates a number of previous articles written by various authors for the GLP and is part of the GLP’s ongoing series on Birds & Bees: Real Facts About Pollinators.